Gravad lax is one of the most delicious traditional Swedish dishes. It is obligatory on the Swedish Smörgåsbord. It is easy to prepare and ingredients are easy to find. 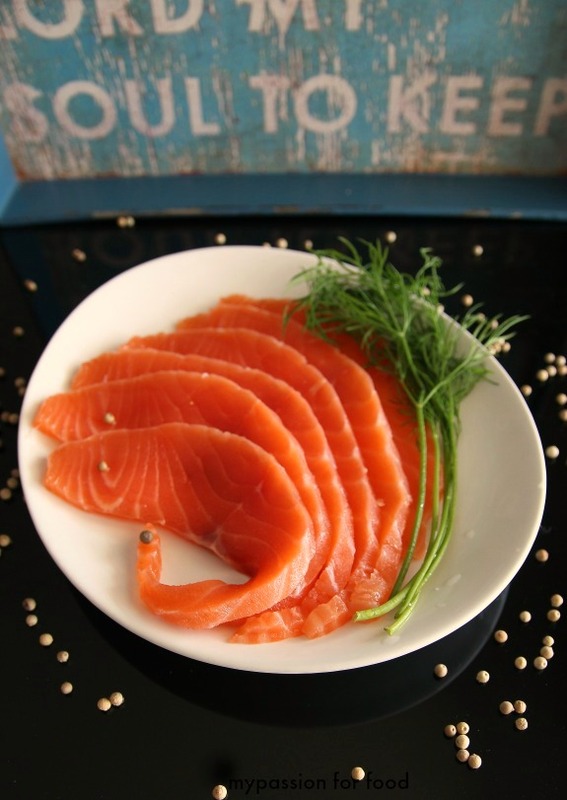 Lax is the Swedish word for salmon and gravad means dill-cured. You can eat it in thin slices with a cold dill and mustard sauce as a starter, or serve as a main dish together with potatoes stewed with dill. To avoid any risk of parasites or bacteria, it is recommended to freeze the salmon for a minimum of 3-4 days, and then defrosting it before preparing. Make sure there are no bones left. Start by crushing the white pepper, then and salt and sugar and mix it all. Lay the 2 filets with the skin downwards. Put all the spice mix on the fish and then add dill (do no chop the dill as it will be easier to remove when the salmon is ready). Lay one file on top of the other with spices and dill in between. Place it in a tight plastic bag, push out the air and then thigh it with a knot. It is important that the plastic bag is 100% tight. Place the bag with the salmon in the refrigerator. The salt will separate water from the fish, becoming a marinade, and therefore turn around the bag with the fish twice a day. After two to two and half days the salmon is ready to eat. 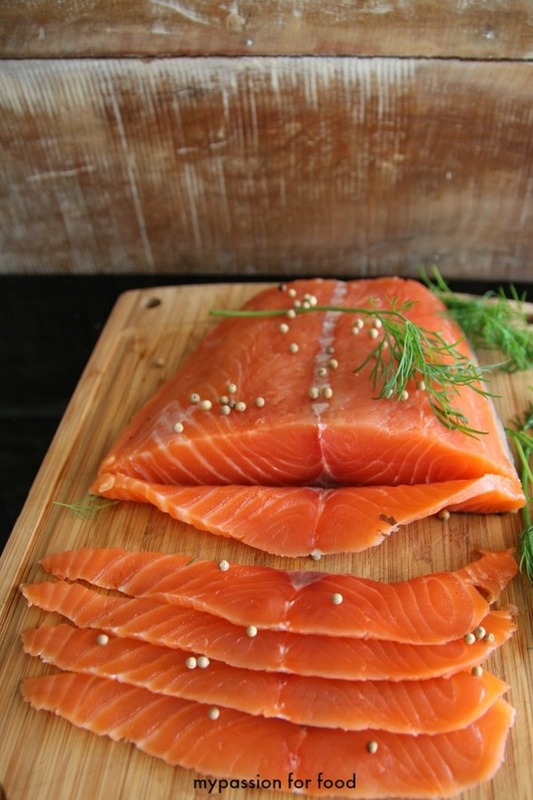 Take it out of the bag, pour out the marinade and clean the salmon from dill and peppercorns. For the sauce combine the mustard, sugar, wine vinegar in a bowl and mix it well together. Add slowly some oil in thin stream while stiring it vigorously. When the sauce has a consistance of mayonnaise you can add chopped dill. Season with salt and fresh-ground pepper. Tror det får bli lite gravning närmsta tiden. Har en hel del lax i frysen som jag inte kunde göra något med i helgen. Men till gravad lax behövs ju ingen gasspis!